Everyone wants to have a nice home where they can relax and live at their own leisure. Unfortunately, the high costs associated with home renovations can be very limiting for homeowners on a budget. While you may be concerned about the pricetag involved with your bathroom or kitchen upgrades, it’s important to remember that proper planning and a thrifty eye can change the entire cost of nearly every project out there. Detail Design & Remodeling was founded as a quality remodeling company in Georgia that focuses on delivering the best services and solutions to ensure that our customers’ high expectations are met every single time. While our home remodeling contractors now focus on revitalizing existing cabinets, they do have the skills and tools needed for nearly any home renovation need. As your quality source for cabinet refacing in Atlanta, the Detail team is here and ready to provide stunning, durable, affordable solutions for your kitchen’s cabinets. From simple cabinet resurfacing to fully custom cabinets of all makes and sizes, our contractors are here and ready to help you with reliable and affordable services. 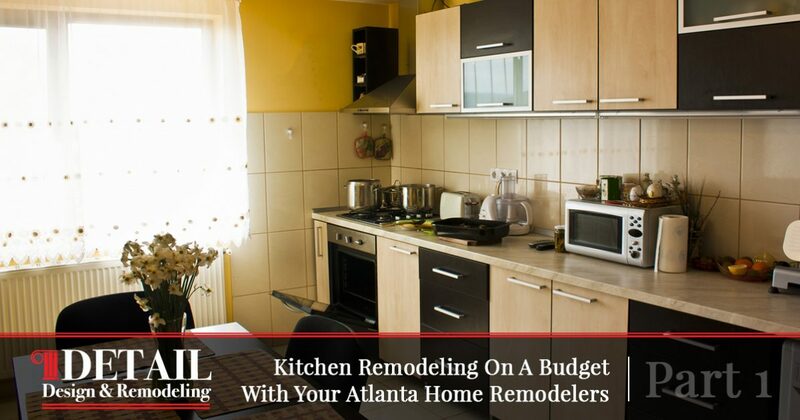 Today, we’ll cover a few basic money-saving tips that can prove very helpful in keeping your kitchen renovation within budget. When done, be sure to contact our cabinet refacing professionals to see how our services can create stunning outcomes for your home! As always, measuring twice and cutting once is the best way to create a cost-effective plan for your kitchen remodel. Homeowners are often too excited when it comes to starting their project, diving headfirst into a project that may not be planned comprehensively enough. To begin, think carefully about why you’re remodeling your kitchen and what goals you would like to achieve. Be sure to think through what is a necessary part of your kitchen and what can be put off to the side if the total price tag becomes too high. While hiring a designer or team of remodeling experts is costly for homeowners on a budget, the long-term benefits of creating a plan and properly executing it can make the upfront costs minor in comparison to the financial burden if something goes awry. In many cases, homeowners will begin to piece together their project as they go, buying items on the fly that look great in the moment. One costly setback can come from not having the materials ready before starting your project. Sometimes, the exact material you need to tie the whole room together is out of stock. When this happens, homeowners are faced with the decision of either buying a costly substitute or waiting for the material to be back in stock. The costs of your remodel can spiral out of control if you are buying expensive materials or placing your remodeling crew on hold. Our cabinet refacing experts can also help you in the planning process, determining the cost of your cabinet services. One approach to saving money during a kitchen remodel is to incorporate certain aspects of your old, outdated kitchen into the new design scheme. Homeowners have experimented with this tactic, often finding success when choosing to replace either the surfaces or the appliances in the kitchen. Families with worn-down countertops can benefit from keeping these surfaces in place while upgrading other kitchen elements. The key to success is leaving suitable objects in place, such as the sink, dishwasher, and cabinets. When done correctly, your kitchen will look like a completely new space while actually saving you a considerable amount of money. Cabinet refinishing is also helpful here, as our different veneers and painted finishes can breathe new life into your outdated cabinet system. Good things come to those who wait, which can be especially true when it comes to finding upgrades for your kitchen renovation project. Home improvement companies are known for creating great saving opportunities in a variety of situations. 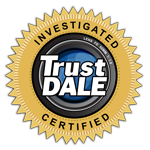 If you are hoping to find stainless steel appliances, keep an eye out for clearance sales, scratch and dent discounts, and more. Can you not live without granite countertops? Be on the lookout for odds-and-end deals, bargain bins, and other sources that may have the materials you need at the price you want. Crafty homeowners have found success with checking clearances and specials in combination with doing easy jobs themselves, keeping certain kitchen elements in place, and more. They say that patience is a virtue, but it can also pay off big when you’re trying to create an amazing kitchen on a budget! When it comes to saving money with a kitchen renovation, homeowners have an arsenal of approaches to take in order to maximize the value for their investment. Next time, we’ll continue on this subject by discussing a few more money-saving tips that may prove useful when pricing out your kitchen improvements. Detail Design & Remodeling is here to help provide cost-effective solutions for your kitchen! We specialize in cabinet refacing for Atlanta and Dunwoody homes, and our home remodeling contractors are ready to take on your project. Contact us today to learn more about our cabinet refinishing services!